ZeroBend Golf is a company that cares about your golf. We aim to provide products both of a high level of design as well as production. Our range aims to use the specialist design and superior build quality of our products to take the strain from your game. 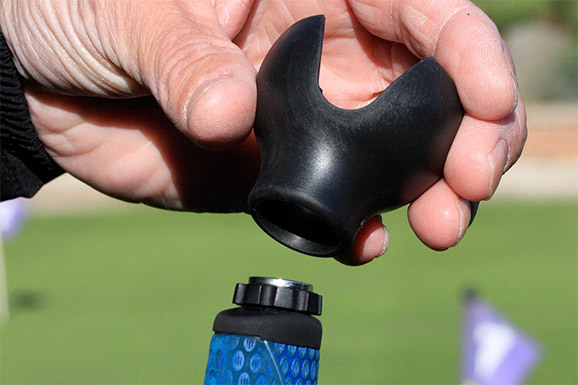 Our innovative designers have created a range of products that can help keep you playing longer. Bending down to tee-up, picking up balls and tees during a round of golf puts tremendous strain on the body that could inadvertently be effecting your score. Our products stop this unnecessary bending. This prevents avoidable injuries, as well as aiding any existing ones that may be effecting both your golf and the enjoyment of the game we all love. Thus in turn, sustaining your ability to play for as long as possible. We are a company that you can feel confident of dealing with, knowing that as our customer your total satisfaction is our ultimate aim. After all, we’re only here to help you. Continued product development is at the very core of our business, realising that it is essential to maintaining competitive advantage. This is what has allowed us to come up with our latest ZeroBend products, considered to be quite innovative in the world of golf. Northcroft Golf (2014) Ltd, into which the ZeroBend brand is incorporated has expanded from a small start-up into a company trading globally supplying customers in many countries including the USA, UK, Australia, Canada, Europe, South Africa and many more.